Ever been on one of those holidays where you wished you never have to go back home? My holiday to Andaman & Nicobar Islands was one of those holidays. I wished I could make Andaman and Nicobar Islands my home, maybe be a diving instructor or open up a beach-side shack. And lounge around all day reading books, sunbathing and swimming in the blue ocean. Wishful thinking, it was. Urban civilization beckoned and I had to return back to the rat race. But not before I got to swim with the fishes. We spent about a week in Andamans and we recommend the months of December to March. 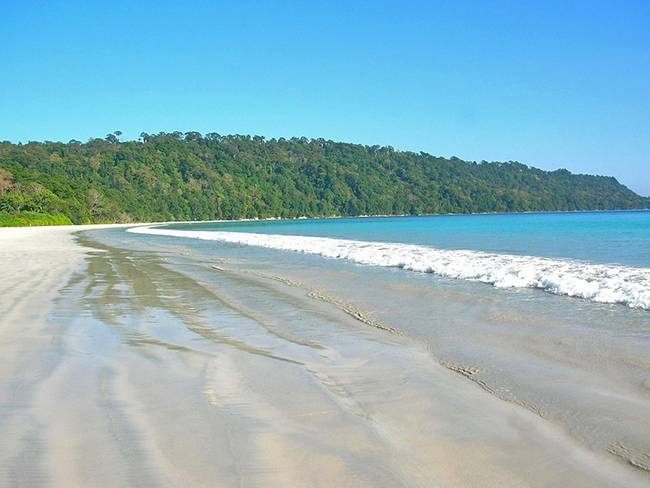 The plan was to spend a night in Port Blair, spend a day sightseeing and the rest in Havelock Island. We really wanted a beach-focused holiday exploring the amazing natural beauty of Andamans so we skipped Port Blair almost entirely. 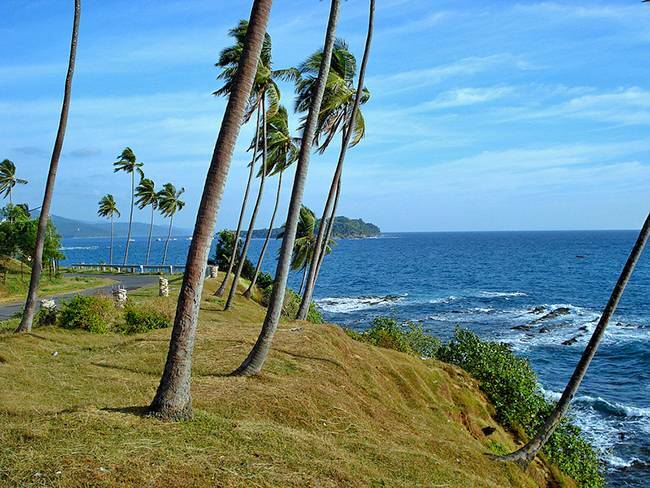 But if that sounds like something you’d enjoy, go ahead and spend more time in Port Blair. 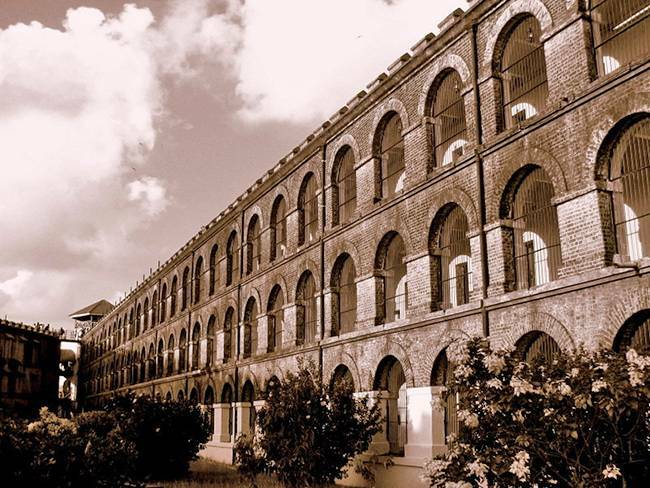 Port Blair attractions include Cellular Jail (interesting experience at the sound and light show), Naval Museum, Chetam Saw Mill, Japanese Bunkers and Anthropological Museum. The highlight of our short stay in Port Blair was sea bed walking on North Bay Island. Located just 20 minute boat ride away from Rajiv Gandhi Water Sports Complex, this was truly a ‘swimming with the fishes’ experience. North Bay Island is famous for stunning views of its underwater corals and this adventure activity brings you up, close and personal with a variety of fish and corals while being submerged underwater. Spotting orange clownfish, sea anemone, star fish and other brilliantly colored fish and spectacular corals and swimming with them was unforgettable. We sailed off to Havelock Island, which was going to be our home for next few days. Havelock Island has plenty of accommodation options, we chose Barefoot at Havelock, an eco-friendly resort at Radhanagar beach on the island. It was perfect! The resort has 19 tastefully designed wood and thatch cottages/villas that use locally sourced and environmentally friendly materials. It was just what us city-dwellers needed. It was one of those places where you can sit back, relax and watch the time pass by. The only sounds were chirping of crickets and birds, rustling of leaves and croaking of frogs. The sky here is as clear as you can imagine, especially at night when the stars are shining. I don’t remember ever seeing the sky with so many twinkling stars. And it is breathtaking to take walks on the beach at dawn and dusk. Radhanagar beach or beach no. 7 at Havelock was once ranked as Asia’s best beach by Time magazine. The beach has white sand like fine powder and water so blue and bright you feel it is almost jewel-like. 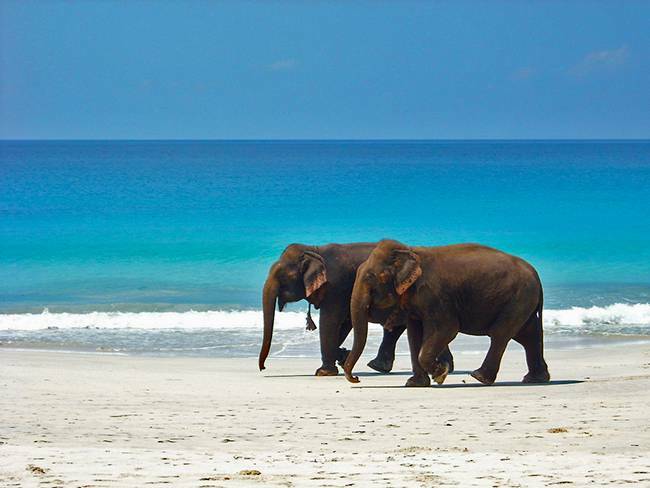 There is so much to do at Havelock Island. We did scuba diving, snorkelling, game fishing and of course spent many hours lounging at the beachside and occasionally swimming in the sea. Radhanagar beach has some of the best dive centers in Andaman Islands. We also explored the nearby green forests and sipped endless cups of chai reading a book or over a game of scrabble. Some of the best scuba diving sites here are Mac Point, Aquarium, Barracuda City, Turtle Bay, Seduction Point, Lighthouse, The wall, Pilot Reef and Minerva Ledge. 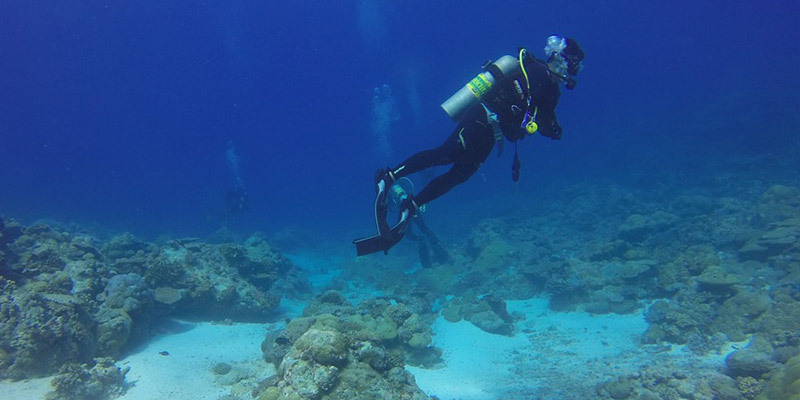 There were several certified scuba diving centers at Havelock that offer this exciting experience to tourists. I made a note to self about revisiting Andamans and getting a scuba diving certificate. Snorkeling is another popular activity, thanks to the colorful aquatic life that surrounds this tiny island. Our resort helped us arrange a trekking expedition to Long Island one day. 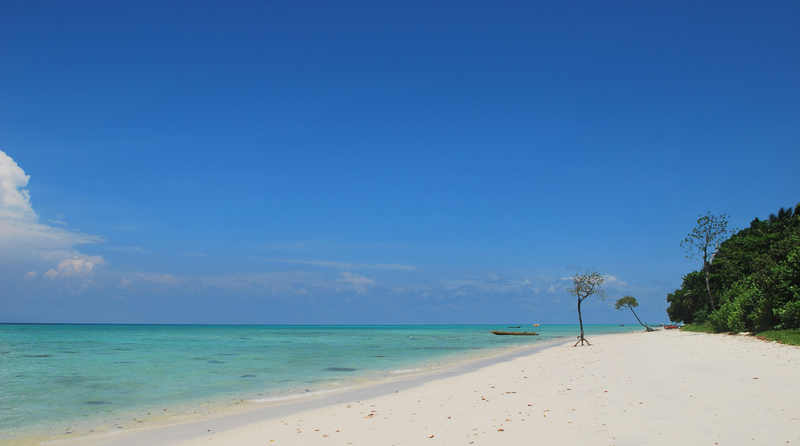 Long Island is a little further from Havelock Island and is so secluded and quiet. We felt we were the only inhabitants of that island. The lush green and thick forest cover was almost eerily prehistoric. The dense vegetation was such a glorious and striking contrast to the clear blue sky and turquoise water, something only an artist would have imagined. We took a boat and went to Elephant Beach one day. This beautiful, untouched beach offered plenty of opportunities for snorkeling and other water sports. The guide also pointed out numerous fish and colorful corals. The next day we went on a day trip to Neil Island, a small island near Havelock that took about an hour to travel by ferry. We rented bicycles and visited Sitapur Beach, Laxmanpur Beach and collected sea shells at Bharatpur Beach. Snorkeling and swimming at each of these islands and their beaches was such a unique and exhilarating experience. All that island hopping was exciting and a whole lot of fun. Something we had never done before. Sometimes the best holidays are where you just have a semblance of an itinerary and you make plans as you go along. This holiday was that kind of a holiday. 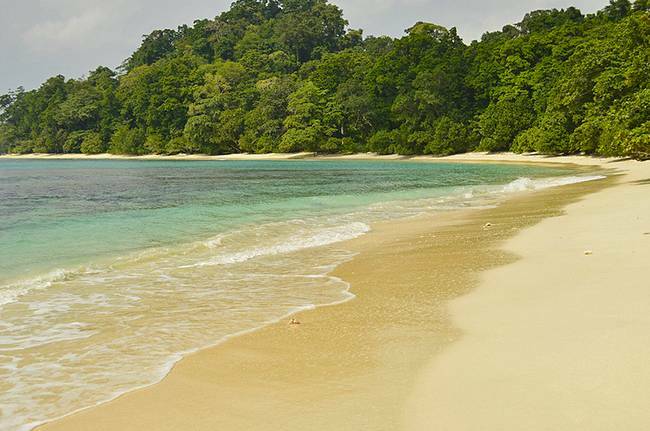 Havelock Island has just six thousand people, predominantly Bengali speaking. The people are warm, friendly and very hospitable. We rented bicycles and rode around the island without any agenda or destination in mind, stopped wherever and whenever we felt like. The island offers so many picture perfect moments that we exhausted the memory card of our camera by the end of the trip. One visit to the amazing Andamans doesn’t seem to do justice to this place. It wants you to return and discover places you missed on your first visit. It leaves you with a satisfied and yet a yearning feeling in your heart. 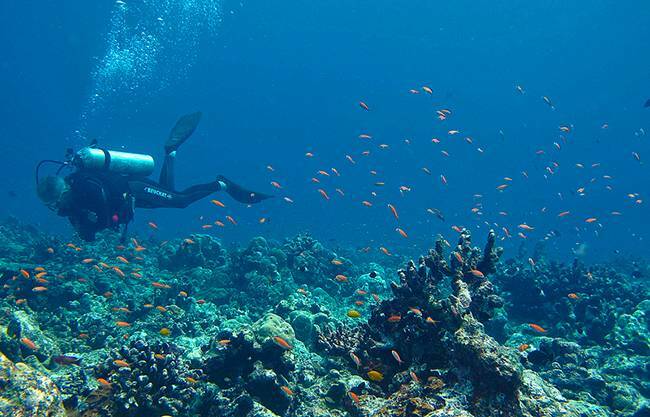 Have you ever swum with the fishes in Andamans? Let me know how your experience was and what your must-do activities are on the Andamans.